AllCode today announced the release of a new iPhone app, Just Ask Me, the Social Network Dating app, built for JustAskMe, Inc , http://www.justaskme.co. AllCode performed iOS app development, product management, and QA. Recommend people to your friends – Recommend matches between friends that you think would be a good match for each other. Recommendations of singles can be down in app via SMS or Email. Talk with your matched friends – Have you found a match? 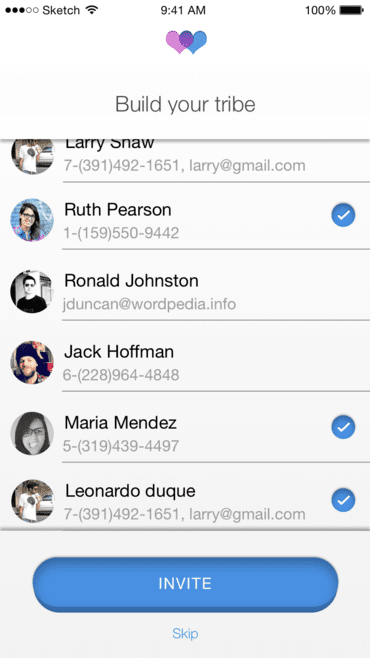 Start a chat with them in the messaging component of the app. Looking for a Partner? – Why not have your friends recommend a match for you? When you’re browsing your recommendations and you find someone who is perfect for your best friend, recommend them for your friend via SMS or email. After you sign up for Just Ask Me, you will be prompted to create Helpers. You can think of these Helpers as traditional wingmen. For those of you who aren’t familiar with wingman. These Helpers are here to ensure that you find the right person. After you select your Helpers, then Just Ask Me will craft a message for you, all you have to do is hit the Send button. Bingo, your tribe of Helpers has grown. The Just Ask Me app, developed by AllCode, is a free mobile application. The app demonstrates AllCode’s commitment to mobile solutions and our capabilities in developing cutting-edge mobile applications that help strengthen our clients’ brands and evolve their businesses. very nice information about -ios-app-development thanks for sharing..